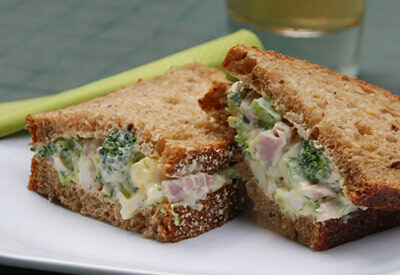 In a medium bowl combine ham, broccoli, celery, eggs, mayonnaise, chives, marjoram, pepper and salt. Mix well. Refrigerate for 1 hour or more to blend flavors. Serve on whole grain bread.